“Sayogoromo no Uta/The Light Night Veil Song”! 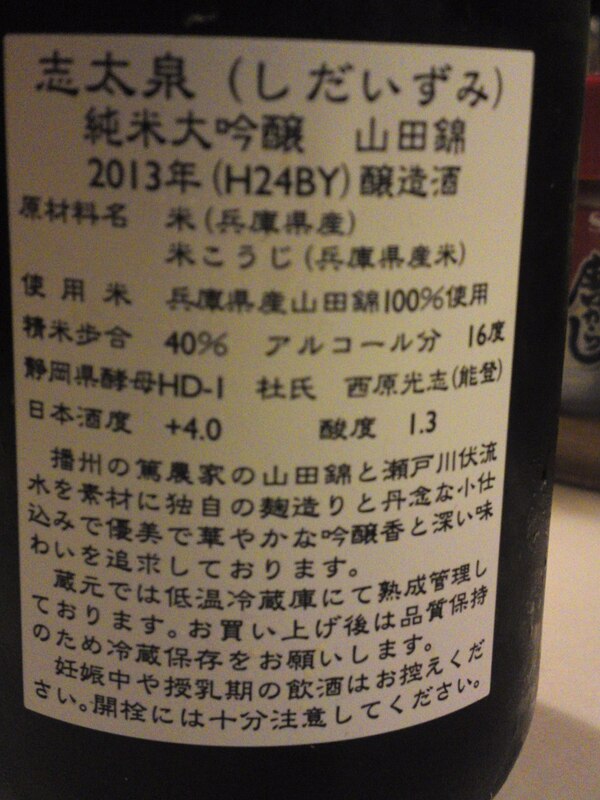 Call a Japanese friend to translate the label. It is worth it! 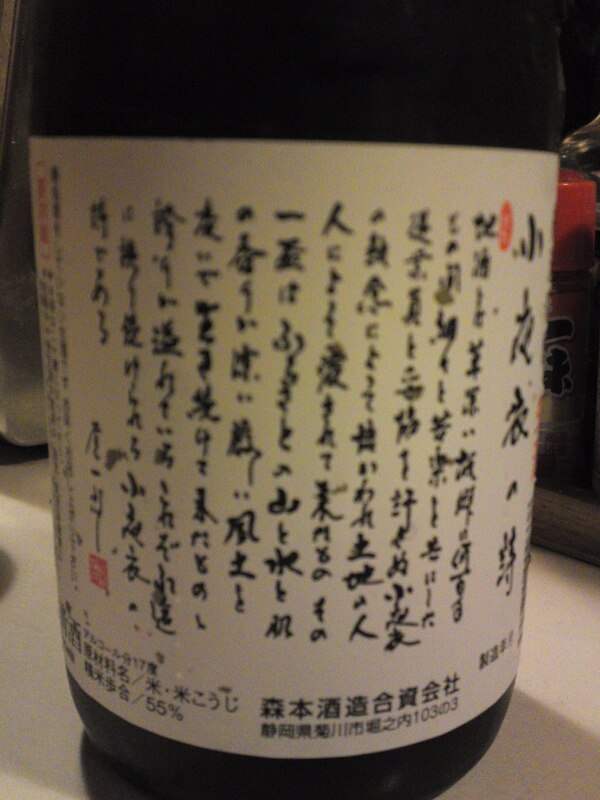 And the sake is also worth a long conversation as it it is practically untouched/adulterated in its making! No pure alcohol or water added! 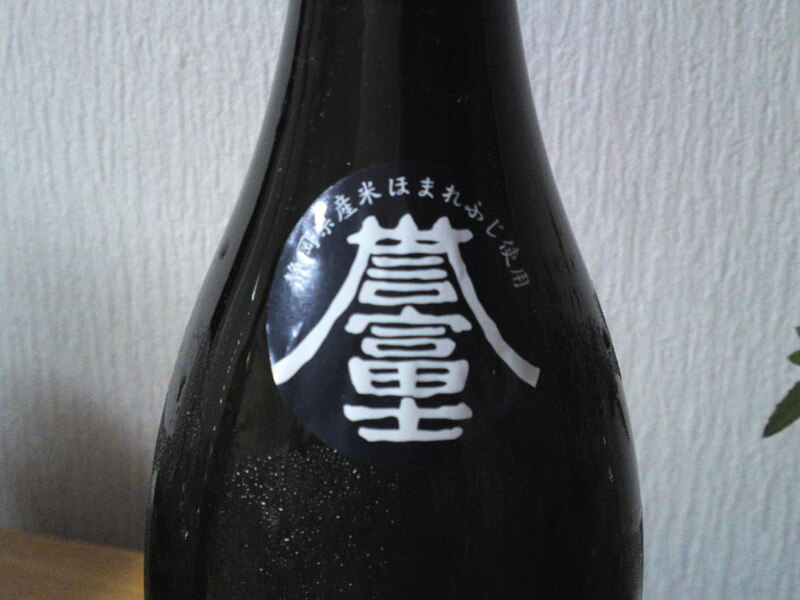 Taste: Well-rounded dry attack with assertive junmai petillant. Both complex and straightforward at the same time. Pears and nothing else apparently! Disappears quickly on a dry note. 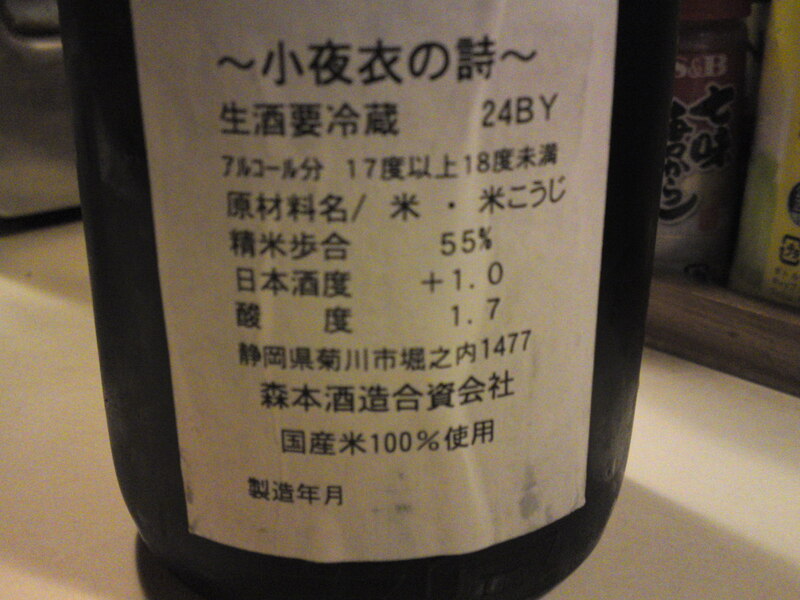 Turns on a drier note with food with more junmai petillant. Elegant in spite of its high alcohol content that tends to be dangerously forgotten! Overall: Another Morimoto Brewery nectar off the beaten tracks of Shizuoka Prefecture or whatever traditions for that matter! 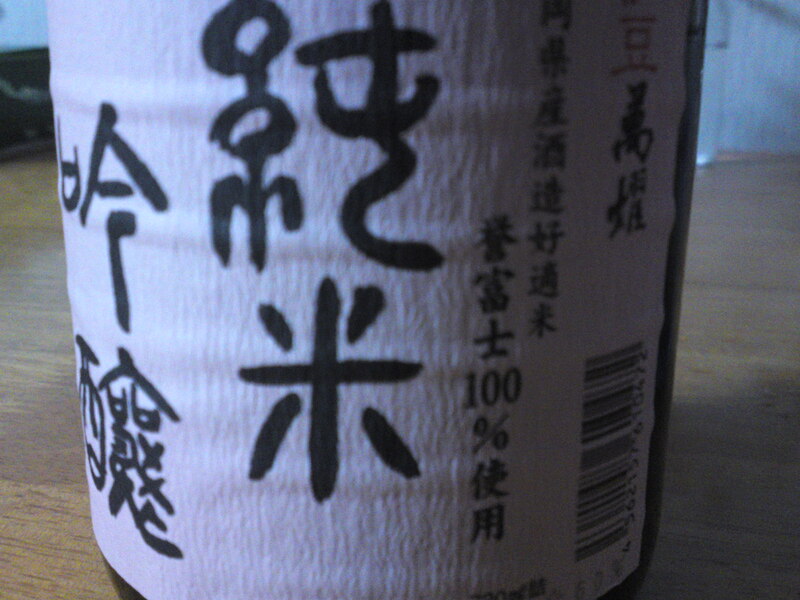 Chilled, makes for a superb aperitif, probably the best compliment to be made to any sake! The toji/brewmaster at Shidaizumi brewery in Fujieda City is of the Noto School, that is from Noto Peninsula in Ichikawa Prefecture. 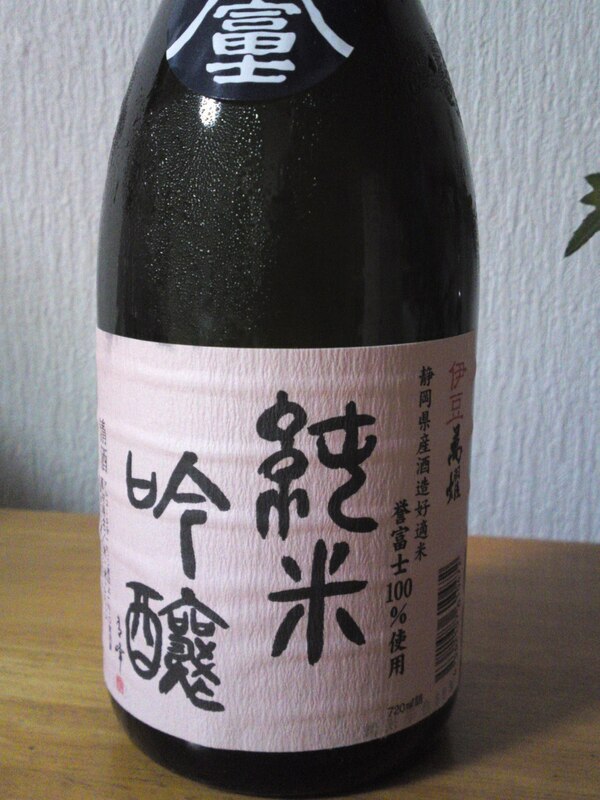 Ichikawa and Shizuoka Prefecture sake arevery similar in concept and many are made for sake tasting competitions. plenty of explanations but this is the very top! Taste: Soft well-rounded attack backed up by junmai petillant. Abruptly turns to a very dry note at the back of the palate upon swallowing. Pears, hints of green apple, grapes. Late appearance of dry nuts. Elegant and sophisticated. There is no point to drink it with food although it changes little. 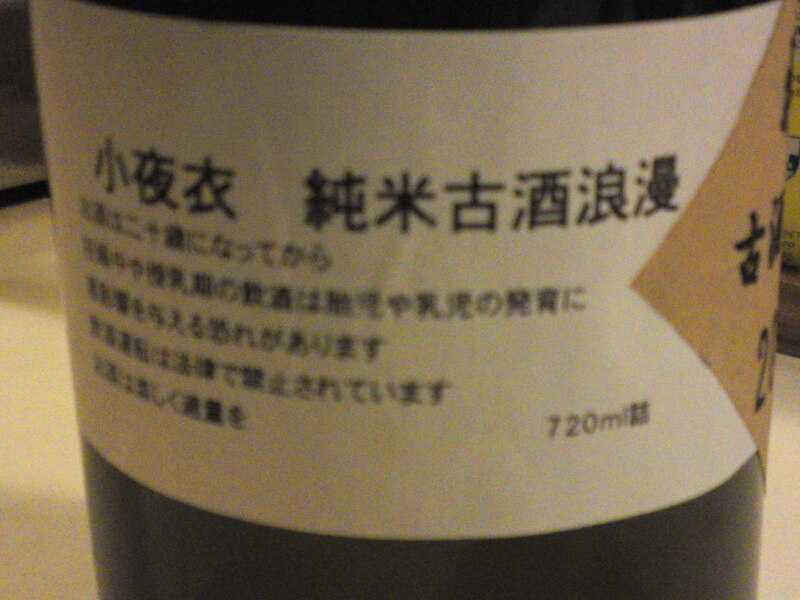 Overall: A sake obviously conceived to be tasted on its own. A great and so elegant aperitif when chilled. But is eminently enjoyable at any temperature. 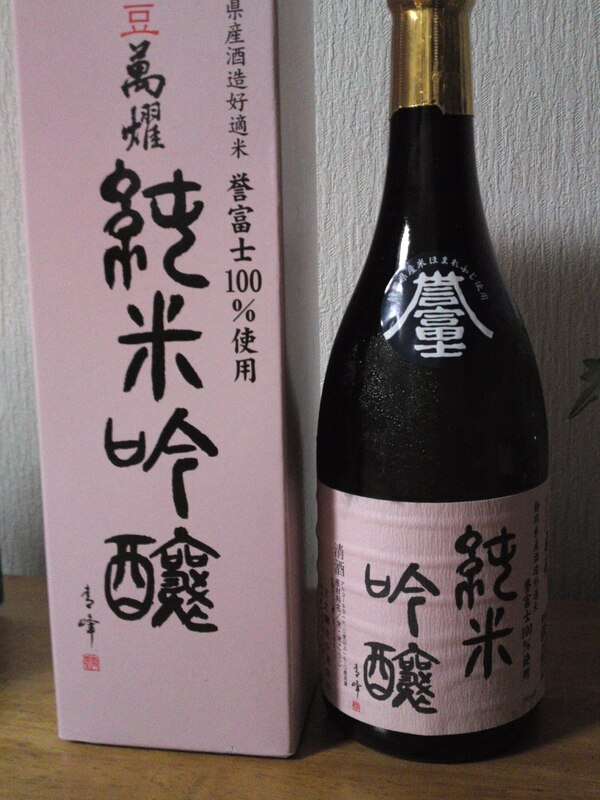 A sake to impress your friends or important people! 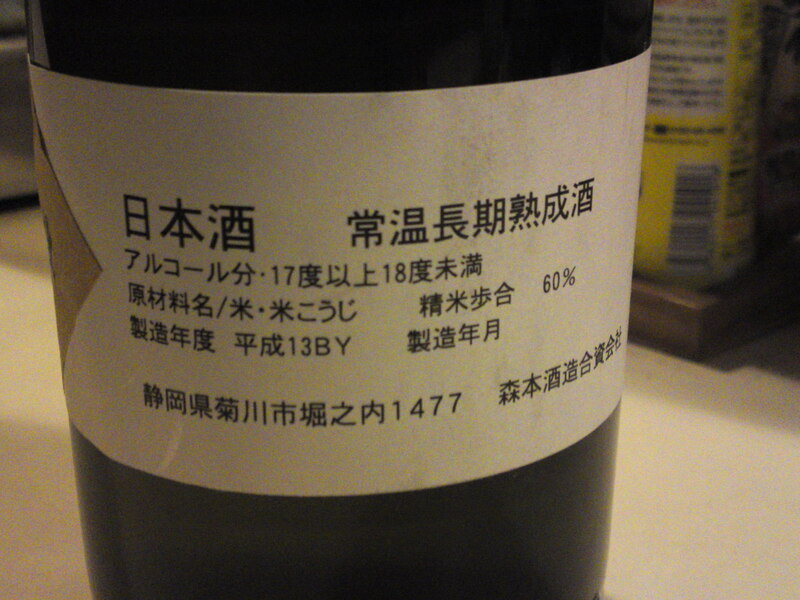 Morimoto brewery is not only “notorious” for its sake away from the general Shizuoka trend but it also produces extraordinary “koshu/old sake”! 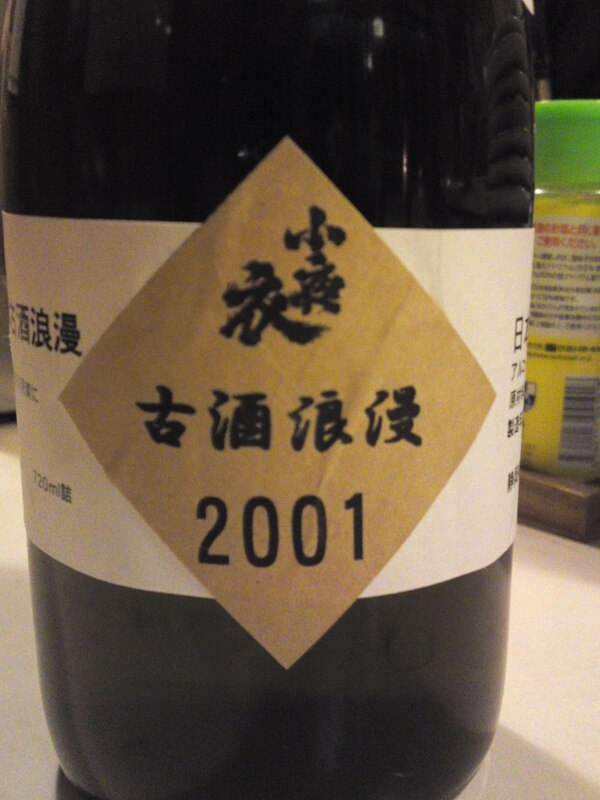 But the more extraordinary is that that particular koshu had been matured at room temperature for the last 12 years! And there were only 3 bottles left in the whole brewery! Taste: Strong pleasant dry attack. Reminiscent of a dry sherry at first, but turns sweet on the palate before disappearing on a drier note. Very fruity. Mandarines, apricot, loquats, dry persimmon. Changes little with food although junmai petillant asserts itself. 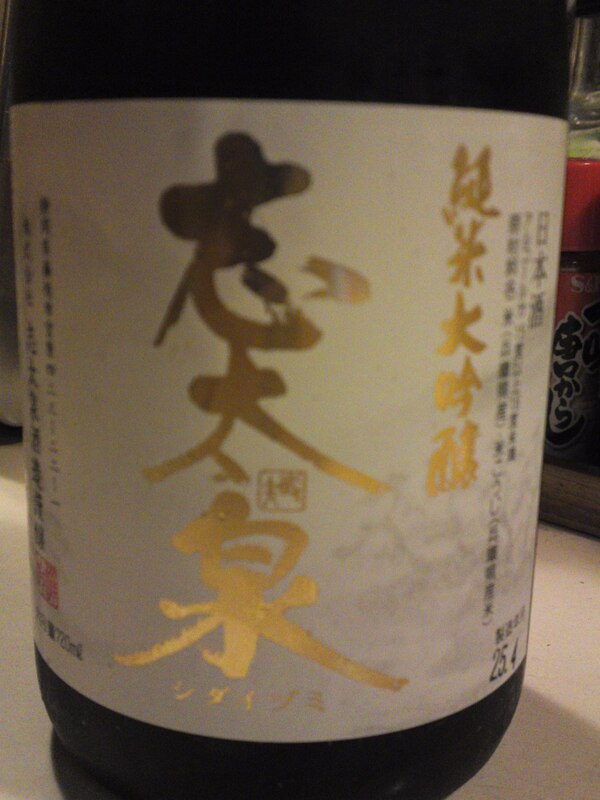 So easy to drink in spite of its high alcohol contents. Overall: A rare treat as usual! 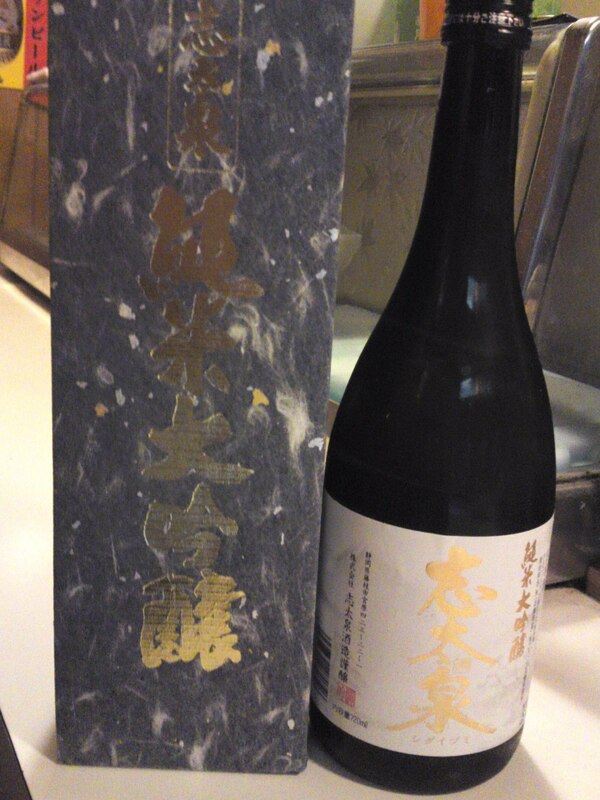 To think that every year sees a new sake crafted to be left in the same spot for years and years! Makes for the perfect aperitif although it would definitely make for a very dangerous proposition late at night! For connoisseurs and gastronomes only! Bandai Brewery is a bit away from anywhere in Shizuoka Prefecture as it is located in Shuzenji the last stop along the private railway line starting from Mishima City into Izu peninsula. Its brews are not always easy to find but they have increasingly become worth the search! All pink presentation for the ladies! The rice is 100% Homare Fuji grown in Shizuoka Prefecture! Junmai ginjo is increasingly becoming the norm, proving that the new rice has come of age! Taste: Fruity, dry and deep attack. Well-rounded with only a little junmai petillant warming the back of the palate. Nuts, almonds, coffee, dark chocolate. Very easy to drink and soft on the palate. Disappears fairly quickly ending on a sweeter note of dark chocolate. Changes very little with food apart of an accentuated junmai petillant. 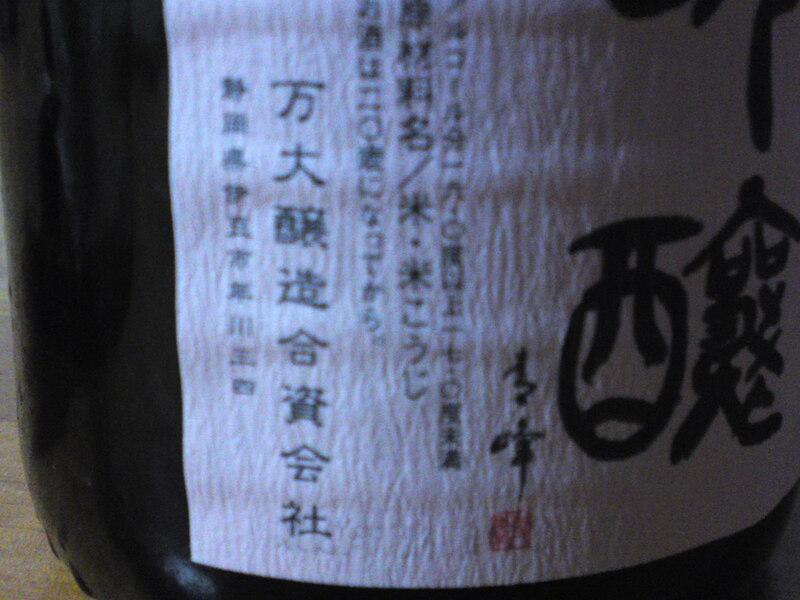 Overall: In the best sense of all a straightforward and eminently pleasant sake, very feminine in approach. Can be enjoyed at any temperature at any time of a meal and away from a meal! Bring it to a party and please everyone!